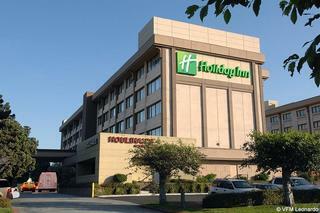 Holiday Inn Express Hotel&Suites Oakland . 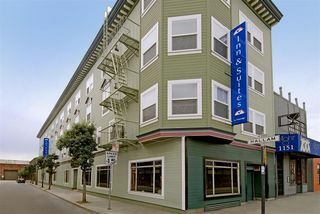 The Hotel Aida Plaza is a charming property conveniently located in downtown San Francisco, close to many of the city's major tourist attractions. Situated on Market Street (cross street is 7th St.) near the Civic Center. The Aida Plaza hotel is a historic landmark built in 1912 by James D. Phelan, the Mayor of San Francisco, who later became US Senator. We invite you to enjoy today's comforts at yesterday's prices. 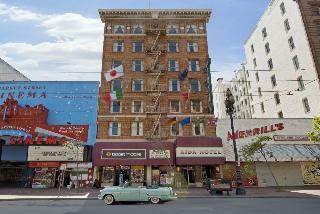 Turn back the pages of time and soak up the history found at Aida Plaza Hotel in San Francisco. Aida Plaza Hotel in San Francisco lies within walking distance of Performing Arts District, the Opera Hall, the Civic Center, Moscone Convention Center, Museum of Modern Arts, Union Square and San Francisco shopping center, the City Hall, historical Cable Car and numerous restaurants. The Holiday Inn Express Hotel & Suites Oakland Airport is the ideal place to stay for both work or play. Less than half a mile from the Oakland International Airport and just one mile from the McAfee Coliseum - home to the Oakland Raiders, the Oakland Athletics and the Golden State Warriors. 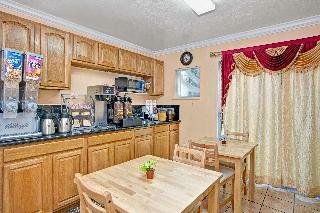 All guest rooms are equipped with a microwave, wet bar, refrigerator & High Speed Internet Access. 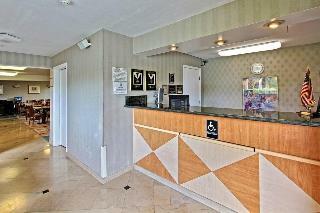 Holiday Inn Express Hotel&amp;Suites Oakland . Enjoying direct access to Oakland International Airport, guests at this hotel can enjoy complementary 24-hour transportation to and from the airport. Within minutes of this hotel, guests will be presented with ample opportunities for adventure and discovery. The Oracle Arena, Fisherman's Wharf, Pier 39, Oakland Zoo, Napa Valley and Lake Merritt are just a short drive away from this hotel. Adventure enthusiasts will enjoy San Francisco Bay, where boating, sailing and swimming opportunities await. After a busy day of sightseeing or business meetings, guests can retire to the elegantly-appointed guest rooms, where an ambience of comfort awaits. Ideal for business and leisure travellers alike, guests at this hotel will enjoy an array of opportunities for discovery. This hotel enjoys a great location in Oakland. 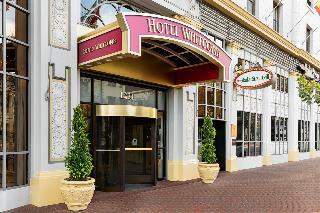 The hotel is situated close to the Altarena Playhouse, Oracle Arena and O.co Coliseum. The hotel is located just a short distance away from Alameda Museum and Oakland Aviation Museum. The ideal option for business and leisure travellers, this hotel is sure to impress. 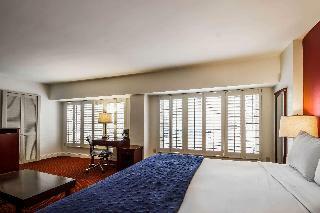 The guest rooms and suites are elegantly designed, and are fitted with modern conveniences to ensure a comfortable stay. Guests can avail of the many facilities and services that this wonderful hotel has to offer. This hotel attends to the individual needs of each and every guest, ensuring a truly enjoyable, relaxing stay. 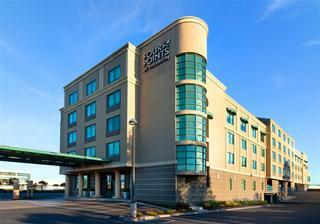 This comfortable hotel is in Oakland International Airport. This establishment offers a total of 147 units. This is not a pet-friendly accommodation. 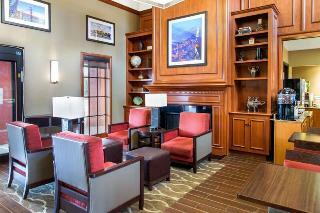 This upscale hotel enjoys a prime setting at the heart of Oakland City. The hotel is situated within easy walking distance of the Oakland Convention Centre, and is in close proximity to a number of the city's main attractions. Guests will find themselves within easy access of the Oracle Arena, Oakland-Alameda County Coliseum, Oakland Aviation Museum, Oakland Zoo and the Oakland Museum of California. This charming hotel welcomes guests with the promise of an enjoyable stay. Guests will appreciate the beautifully appointed guest rooms, which feature soothing tones and a relaxing ambience in which to unwind in comfort. The hotel also offers a number of excellent facilities, ensuring that guests enjoy the utmost in comfort and convenience. This hotel is minutes from attractions like Candlestick Park, the Moscone Convention Centre and Paramount's Great America. A variety of restaurants are located in the surrounding area. 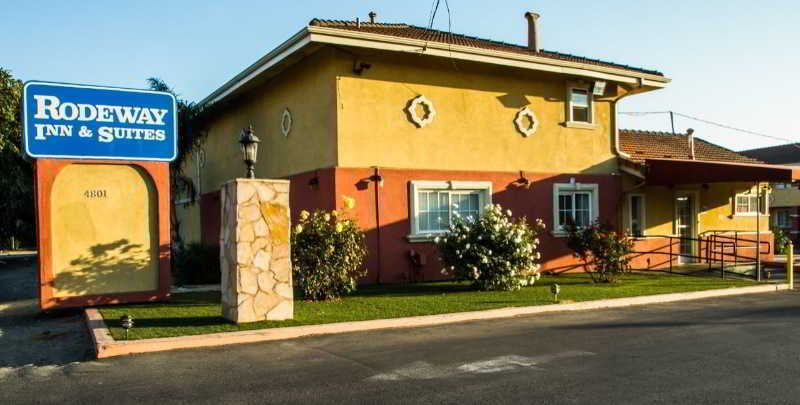 The hotel is conveniently located off Highway 101, just 3.2 km from San Francisco International Airport. 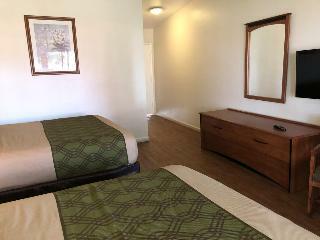 This air-conditioned establishment comprises a total of 168 rooms. The hotel offers a 24-hour check-out service, hotel safe and WLAN Internet access. Guest laundry and valet services are also available. A free airport shuttle, free coffee in the lobby and free parking for the duration of guests' stays are offered. All secluded studio suites feature a fridge, an iron set and a cable TV. Each accommodation also features an en suite bathroom and a direct dial telephone. Guests can relax in the hotel's hot tub. City centre - 16.000 Km. Bus/Train station - 1.500 Km. Golf course - 20.160 Km. Entertainment Area - 16.000 Km. 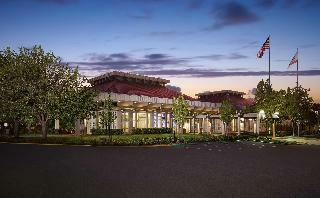 The iconic Hilton Oakland Airport hotel is a peaceful retreat next to Oakland International Airport (OAK). This Oakland hotel is set in a 12 acre, resort-like setting and located just two miles from the Bay Area Rapid Transit (BART) system with subway access to downtown San Francisco. This Oakland hotel is also near the O.co Oakland Coliseum, home of the Oakland Raiders and Oakland Aâ? ?s, as well as Oracle Arena, home of the Golden State Warriors and headliner concerts (shuttle service is available).The Hilton Oakland Airport hotel provides an array of services to help you feel relaxed and entertained during your stay in California. Start the day with a delicious Hilton breakfast buffet in the aviation-themed Ameliaâ? ?s cafÃ©. Cheer on your favorite sports team on one of the 13 HDTVs over drinks, lunch or dinner at the Sports Edition Bar & Grill. Maintain your workout in the fitness center featuring modern equipment, or unwind in the heated outdoor pool.Enjoy 24-hour access to computers, fax machines and copiers in the business center. Book a meeting in the premier Oakland meetings space, offering 16,000 sq. ft. of indoor and outdoor meetings space as well as an on-site A/V team. City centre - 16.093 Km. This appealing hotel is situated in Brisbane only a quick, ten-minute drive from San Francisco's international airport as well as the downtown area. Chinatown, Union Square, and the San Francisco Museum of Modern Art are within a 15-minute drive, and the iconic Golden Gate Bridge and park are 25-minutes away. The spacious studios and one- and two-bedroom suites come with separate living and sleeping areas and fully-equipped kitchens, making them ideal for long-term stays. Guests can wake up to a complimentary hot breakfast and wind down with a free dinner in the welcoming, lodge-style dining area. After a busy day of meetings or exploring the city, guests might unwind with a workout in the modern fitness centre or go for a swim in the indoor heated pool. The hotel also offers a free shuttle service to the airport in addition to complimentary in-room Wi-Fi and a business centre, all for a delightful stay in the San Francisco area.